Almost all real estate (real property) is subject to one or more easements and/or zoning ordinances that affect or possibly restrict how the property can be used. Easements and zoning ordinances are similar in nature, but are very distinct in how they arise and are applied. It is vitally important when acquiring or developing a piece of property that you engage the services of an experienced attorney, like Orlando easement & zoning ordinance lawyer Godfrey, to help you in understanding how the property will be affected by easements and zoning ordinances, and what can be done to ameliorate potential burdens. For simplicity’s sake, this is a benefit and/or burden related to the use of real property. Common examples are utility easements and access easements. Easements are typically granted by and from adjacent property owners, but that is not always the case. The utility easement is granted by a property owner to a utility company to run a power line or telephone line across the owner’s property to service not only the owner, but also the adjoining neighbors up and down the line. Similarly, an access easement may grant you the right to drive across someone else’s property in order to get to and from your property to a public road or to a recreational lake. It is important to understand whether a piece of property you own, or may be interested in acquiring, is affected by easements, how to interpret the writing creating the easements, and how the right to use the easements may be exercised. A recent example of the disappointing effect of an easement came to light when a homeowner, who bought the property intending to build a pool in the spacious backyard, failed to understand that the conservation easement crossing the property precluded the construction of any structures in that spacious backyard. The law of easements in Florida is a topic that attorney Godfrey has lectured on many times. Before you commit to buy, take the time to investigate the property and have attorney Godfrey review the easements affecting your intended use. Zoning ordinances are local laws enacted to coordinate residential and business growth within the respective boundaries of cities and counties. Zoning ordinances impose restrictions on use and development of real estate. One common example is the set-back requirement relating to how far from a property’s boundaries a permanent structure can be located. Another restriction to be aware of is that if the property is zoned business, the ordinance may preclude its use for industrial or other more intensive uses. Attorney Godfrey can guide you through the processes of determining the permitted uses for a piece of property, and, if not zoned for your intended use, can assist in seeking a re-zoning or one or more variances necessary to effectively “re-zone” the property for your intended use. Variances are not always available, but many times compromises can be found that benefit both the intended purposes of the zoning ordinances and the property owner’s intended use. 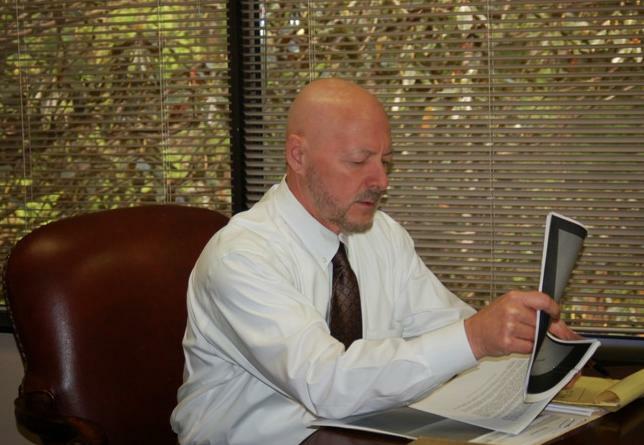 Attorney Godfrey has more than 30 years’ experience working in the real estate arena, assisting his clients in rezoning property for higher and better uses. Neither the law of easements nor working with zoning ordinances is something that should be taken lightly. Whether working for a change or fighting to keep the preferred status quo, attorney Godfrey has the experience needed to make a difference. With the ability to work with city planners, engineers and architects, to use his experience studying and lecturing on the law of easements, and his many years assisting his clients in developing real estate, attorney Godfrey can help you understand any possible restrictions and, hopefully, realize your vision for your property. Contact Orlando easements and zoning ordinances lawyer Godfrey online or call 407-890-0023 or toll free 866-243-9048 to discuss your easement and zoning ordinance concerns today.